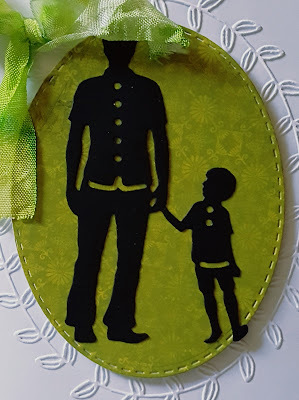 I die cut the Father and Son die cut from black card stock and adhered it to the card leaving room at the top or bottom for the sentiment. Adhere a bow and your card is finished. FAB design and layout! Love the silhouette dies and your embossed ova texture! Great card! 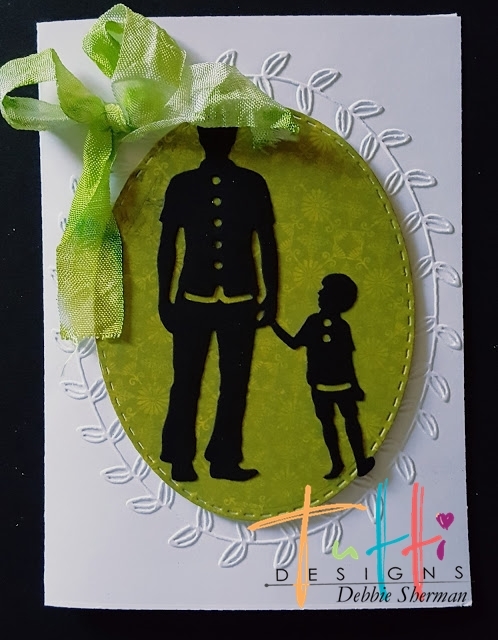 Love this card, Debbie...the green is a great contrast with the white.